Has anyone else come across this series of articles in Atlantic Monthly? They’re based on research coming out the Institute for Family Studies, written by psychologist Nicholas Zill. They paint a very negative picture of adoption (as does the comments section for each article). I wonder if others have read these articles and how they’re thinking about them. This follow-up article, which allows actual members of the triad to share their stories, paints a more nuanced picture. I don’t hold too much weight to the Zill study as the sample size was way too small to have any broad-reaching implications on stating facts about the outcomes of adoptive children. I would be interested in a more comprehensive study, including different regions and populations of children, done longer term. The only thing we can control is how we raise our kids and the love and effort we give them. Wow, that was an overly simplistic “study” - I find it incredibly frustrating that they would jump straight to the wholly unproven attachment theory instead of considering more concrete things like prenatal exposure to drugs, alcohol & tobacco; family histories of mental issues and attention disorders, or depression during pregnancy. Nearly all of the children in our daughter’s birth family deal with attention and behavioral issues, even when raised by their birth parents. Fortunately the other studies I’ve read speak to any increased risk of these issues leveling out as the children age. So either that gaping attachment wound just needed a bit more time to heal or the quality therapy and support provided by attentive APs is proving effective. I found it interesting that the study suggests that adoptive parents will overly seek help and a diagnosis. Had the child stayed with their BP they would not have sought intervention so young. That may be one of the reasons this study is skewed, along with drug exposure during pregnancy or poor/no prenatal care. I have adopted two boys. One is experiencing learning and behavioral difficulty in school and the other is excelling and at the top of his class. In my personal journey, I feel that I need to give my child the time to mature before I seek out a ‘label’ for him. Believe me public educators want to label him! I refuse to categorize him so young. Patience is the gift I want to give my child. We are giving him the therapy he needs and he is improving. There is no guarantee that my biological children would not struggle either. I had a learning disability and had to try very hard to get good grades. I am not adopted. There are no guarantees in life. Acceptance and love are what all children need from their parents. COCO - I’ve read articles about unconscious biases among some educators against adoptees. I do think another partial explanation for the “20% increase” in behavioral issues may be due to educators who are specifically watching for problems among those children rather than evaluating all children equally. rnkidz, thanks for sharing the third link which had quite a few interesting articles. The first thing that came to my mind was that it is quite possible that those adopted children might have have been bullied about being adopted and that was something that was mentioned in those last set of articles. For transracial adoptees in particular, there may be the double whammy of both standing out as being adopted and standing out by being of a different race. There are also a lot of assumptions made about their adoption circumstances and may have other children telling them they were unwanted/unloved babies or other such things. My genetic background is perfectly fine, thanks. In our family, I would say that we were all of fairly similar intelligence (four adopted children) to our mum and dad- I was probably the most intelligent by a small degree (and I only base that on the fact that I was selected to be in an “opportunity class” and generally those selected were in the top 5% of the general population IQ wise), although I would say that my older 2 siblings (twins) are the most successful jobwise. My younger brother did very poorly at school but was quite bright. He was diagnosed with schizophrenia as an adult (note that he came from a perfectly fine genetic background, it was just one of those things). In general, I did pretty OK at school but probably did cruise by on my natural intelligence rather than making any real effort. I was a rather badly behaved preteen but an OK teen. I don’t suppose that I ever considered being adopted as being a factor in my bad behaviour - if I ever looked back on it, I would have probably looked at everything but. In the last few years, I have allowed myself to say that I am allowed to consider relinquishment/adoption as a possible factor in things along with everything else. By this, I do not mean “blaming everything on adoption”, I just mean allowing ALL life experiences to be allowed to be considered as factors in things and not excluding one particular life experience. Perhaps a way to put it is that if one wants to treat their adopted child exactly the same as a biological child, then they must allow for everything in that child’s life experience to be part of who they are. If one actually excludes certain parts of their child’s life experience, then one is in fact treating one’s child as being different from a biological child. One thing that all adoptees have in common is that they were born into one family and raised in another. That is something that all adoptees have their own way of dealing with. The subsequent articles in the final link give varying insights into the feelings that all types of adoptees feel. No doubt many on here will say ” but I know lots of adoptees who haven’t been affected by adoption at all - they are fine with not knowing anything about their background at all”. I was to some extent that sort of adoptee myself for a lot of my life - when asking myself the question “Is fining out more worth disturbing the equilibrium of my life”, my answer was no. It was only due to a bored google in the last 15 years when googling my bmother’s name found a cemetery record that I felt I should do something about finding out more (because when one’s bmom dies suddenly at the age 39, one wants to know why just in case there is a genetic walking time bomb). I actually had some conflicting feelings at the time - on the one hand it was hard to hear that she had passed away so young. I was also surprised to have a fleeting feeling of relief, probably to do with the fact that I wouldn’t then have to make a decision about whether to make contact and either be rejected or try to forge an unknown type of relationship. Now that I am in contact with extended bfamily and know a lot more about my bmother, I think she is someone I would have liked to know although I’ll still never know what her response would have been. Anyway, the point of that last ramble is that even with an adoptee who has no desire to know more than they do, they are still making that compromise in order to live an uncomplicated life. It is not necessarily just a simple “trade up”. Many of you have and want to have open adoptions in order that your children won’t have those questions and so they can have relationships with real people. I am an adoptee from a closed adoption so my experiences are of course different although I do feel that my experiences after reunion and the subsequent feelings etc re knowing people who have gone from being abstract to real are probably more relevant in that regards than my experiences of being a closed adoptee dealing with adoption in an abstract way. Catherinenz - Good point about the bullying. It doesn’t even have to be aggressive bullying - just a cumulative series of comments that lead a child to feel different and lash out. His mom - who is lovely and super liberal - was appalled and schooled him later, but it was easy to see how a lack of early education on adoption could leave some adoptees feeling isolated and defensive. Attachment theory isn’t unproven. It has been studied for at least 50 years and there is plenty of research on it. John Bowlby studied attachment in the 40s and 50s. That certainly does not mean all adoptees have attachment issues. Not all adoptees have the same history before adoption. Some have been alcohol/drug exposed…some were exposed to domestic violence in utero, some have a history of multiple placements, some have histories of neglect, sexual and or physical abuse, separation from known siblings, institutionalization. Some children have a genetic background of severe mental illnesses. Comparing an adoptee who was placed at birth to an adoptee who spent two years in an orphanage, went to an adoptive family who dissolved the adoption and now is with you is comparing apples and oranges. Just to split a few hairs, if attachment theory were proven, it wouldn’t be a theory. The article about adopted kids in school was passed around in October. It is total crap. It’s a stretch even to call it a study. The follow up is totally based on that not-a-study, so I’d call it crap too. Honestly, a lot of what The Atlantic puts out these days is crap. I’m also siding with JNC on the whole attachment theory thing. Studies on infants and young children are particularly difficult, given that they can’t necessarily express themselves verbally. There are also many factors for which studies do not control - socioeconomic class being a big one. If you believe in attachment theory, that’s great. I don’t. Either way it’s inappropriate to use it as it’s being used here. I don’t know JNC there is the theory of relativity, Quantum physics theory but I agree let’s not split hairs. I think we agree that infants and parents attach I don’t think that is a theory it is the truth. And when things like trauma intrude the attachment can have strains. Most studies show people adopted as infants who have no prenatal stress, have the same percentage of problems as a group of non adopted people. Most are fine, some have issues like ADHD etc. There is a slightly higher difficulty with identity in teen years and a very slight increase in suicide among adoptees. The numbers would be different for any child (adopted or not) who experience trauma. The sample size was so small that it is hard to come to any conclusion, other than that the researchers had their own bias, as did the journalist who wrote the article in the Atlantic. I agree with Regina, lumping all “adopted children” together, without acknowledging the possible impact of trauma/abuse/neglect prior to adoption, is missing the boat. And socio-economic status equals intelligence? Then how do you explain reality TV stars? I note the study was based on teachers’ reports of student behaviour. My question is how did the teachers know that the students were adopted. For example, when i was growing up, I doubt that my own school teachers would have known who was adopted or not unless it was disclosed by the students themselves. So I am wondering whether the “160 cases of adoption” are those where the fact was disclosed after those particular children had difficulty. The fact that according tot he study there were only 160 out of 19,000 were identified as adopted makes me wonder if far more of the students were adopted but just not ever identified as such. Whatever the case, I think the “Family Studies” researcher is making big leaps. I know about 10 adoptees IRL (the majoirty are my age and thus DIA from the 60s/70s, a couple are younger IA ) I know plenty others online. Almost every one of those adoptees is very bright. Many did well in school, others not so much. There many be many different factors involved. I don’t know why all your friends are having issues, AmmaB, but sometimes it might not always be the child. Ammab, I’m going to try to be diplomatic here. There are absolutely times that I agree with you on these boards and I often appreciate your point of view. However, the way you handled a certain situation on these boards earlier this year, i.e the defensiveness and the attacks on others, made me wonder whether there is a deeper problem with communication with your child. Please note that I am NOT actually talking about the actual situation but more the way that you handled it on these boards. I’ve been on enough mixed forums to sense that some APs are going to have more issues with their child than others and that is without knowing anything about their child. Conversely, I sense that others will do well regardless of their child’s issues at the time of the adoption. There are definitely members on this board whose children will do well** overall regardless of their background because their parents will listen to them and actually hear what they are saying rather than what they think or want them to say. It doesn’t mean that there won’t be issues, in fact in some cases there may well be major issues throughout the person’s life, but more that their parents will not make those issues about them but instead deal with them head on. There might also be perspective - two people might have two very similar children but one will only see their failings and others will see the wider picture and see their child in all their humanhood (note that I’m not just talking about adopted children here). The way you talk about you and your friends’ adopted children is also very telling - you and your friends seem disappointed that your children didn’t “live up to expectations”. That’s not to say that I don’t feel sympathy for many parents because in fact I do. Many of them don’t receive the help they need. Post-adoption education and help is very important and I would want all APs to be able access that help if required. Unfortunately some therapists are dangerous and should be avoided. searching for this guys in the internet right now so don’t email this guys please they will rip you off like they did to me.. Which is why I also pointed out how important education is. I was also pointing out that perceptions of what is ideal in an adoptee may also be different in different people. I certainly would not recommend adoption to everyone - I certainly wouldn’t recommend adoption to anyone who is not prepared to do a lot of research into the most ethical ways to adopt. I still see too many on these boards wanting the quickest/fastest way to adopt and thus go into their adoption unprepared. I know that that doesn’t include you and, as I said earlier, I appreciate a lot of what you do have to say on here. Btw even on another forum I’m on, there are certain APs whose adoption stories are great in their eyes where I still worry for the child because of certain attitudes they have shown. 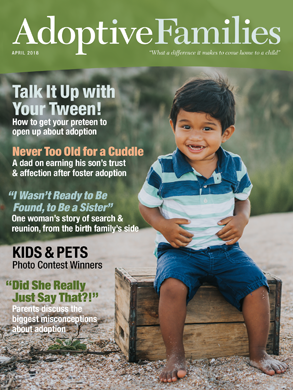 I seem to remember hearing that 1/3 of older children adopted will have severe problems that are unchanged 3 years after the adoption, another 1/3 will have severe problems but will have seen some improvement in 3 years, and the last 1/3 will be indistinguishable from children who have not been adopted 3 year after the adoption. Unfortunately I do not remember where I saw this. I want to say that I agree both with Amma and with catherinenz. That is to say that adoption of an older child/ teen is not for the faint of heart! I belong to a support group of people who have adopted or are adopting tweens or teens internationally, as well as have other friends who have adopted older children in the US. It is almost universal that the first 6 months to a year are extremely hard. And many times longer. Even for the kindest of well educated, parents. Children adopted at this age generally, understandably, even if they wanted to be adopted, have a great deal of grief at leaving their friends and lives behind, as well are often abuse or trauma survivors, who’ve never had a healthy family or parents that cared about them, and don’t themselves know how to be in a healthy relationship/family.This compounded by years of poor diet and little medical care,medical problems, often multiple homes, poor treatment or bullying by others, difficulties in school because of learning disabilities and/or no support at “home” and many years of unaddressed anger and grief etc makes for many more challenges than those most non-adopted children will ever face.Even children adopted as infants often quite clearly have major additional issues. To me one of the skeletons in the closet of adoption is that it is not just the abusive adoptive parent or the bad seed of a child, who will have a rough time of it. Nearly everyone being adopted and adopting a child at an older age will have very difficult and major issues to deal with for a long time. And to a lesser degree, many adopting children of younger ages will too. The part that I agree with catherinenz is that it does matter how you support the child, how you listen to and respect them, how you can honor and allow the choices they make, while not allowing abusive or harmful behavior, how you can teach them about healthy families, and help them to learn the tools for dealing with low confidence, and discrimination and problems, while not responding in an abusive or punitive way yourself to extreme anger, grief, or disobedience. Forget power struggles. But also we are hard wired to love, and it takes a very, very strong, person to withstand months or years of love not being returned, or worse still love being returned with hate. This goes way beyond classes or education. Everyone involved (parents and children) needs a very, very strong support system of many others in the same position. It takes the support of a community really. I for one do not care whether adopted children are exactly the same as non adopted. In fact I think part of doing well as a family with adopted children is refusing to try and pass as any other family. When people ask me how we are doing, I tell them! I am honest, about the facts, while trying to stand with my daughter. If we have to bail from holiday plans, or do education differently because something is too stressful, so be it. I try to advocate and facilitate whatever will best support her having a full and happy life. Frankly I think hoping for the same as non adopted is setting the bar too low. So maybe she won’t perform exactly like a non- adopted child in math. Maybe she’ll be smarter or a survivor, because she’s had to be, or more creative, or more compassionate. A lot of the people who bring the most to our world are folks who have gone thru major challenges and bring what wisdom they have from that back to inspire the rest of us. Happy Camper, thanks for your post. I’ve often felt oneof the most dangerous things in adoption is when people expect the ideal. As you said, you “stand with your daughter” and that is the most important thing. I have heard that 1/3 thing also I think in research re international children. I think it is 1/3 will be OK after a period of adjustment. 1/3 will be OK after some intervention (sensory, adoption based or trauma based therapy, 1/3 will have pretty major lifetime problems. I can’t recall either where I heard it. Maybe Victor Groza’s (Groze?) work. Adoption by its very nature is a great big social experiment. The openness of Western adoption, which by ifs very construct was designed to be closed, is fairly recent - some countries have had it longer than others (eg adoptions in NZ have been open for almost 30 years) but that is still fairly recent. On the other hand, other types of “adoption” have always been open (eg whangai and other traditional types of Polynesian adoptions) and in fact “closed adoptions” are quite a recent thing in themselves. I do think open adoption can work but in some ways it has to overcome the constructs of western adoption itself. It seems to work best when the focus is on the child and when the adoption professionals involved in the adoption truly believe in open adoption for the sake of the child. One of the problems is that the main reason that many agencies do promote open adoption is because they know that they wouldn’t survive without doing so. I personally do think open adoption is a good thing because when done properly, it creates real relationships with real people. As an adoptee from a closed adoption, in some ways things were “easier” when things were “abstract”. Now that things are more “real”, there are more concepts to make sense of and more paradoxes to overcome but the truth is that despite the complexity of feelings/emotions, I prefer the “realness” of having and knowing my biological family - there are real stories there before, during and after my adoption.